We've already covered all the brand new Premier League home kits, for which 'tradition' is as much a critical factor as aesthetic beauty. If we had our wish, teams would only be permitted jerseys that are exact replicas of their 1970s vintage. Sadly, magic lamps don't grow on trees (or anywhere, for that matter). Away kits are a whole other story. Sure, some clubs have time-honored alternative colours, but ideally, all good taste should be thrown to the dogs for a second strip. Restraint, subtlety, sense: nobs to that. The more radical, risky, and downright raunchy the better. We want to see colours yet to be invented. We want psychedelic patterns that'd look tasteless on the side of a hippy's camper van. We want football fashion designers to leave their expensive education behind, exert their pure id - and then charge us £70 to wear it. 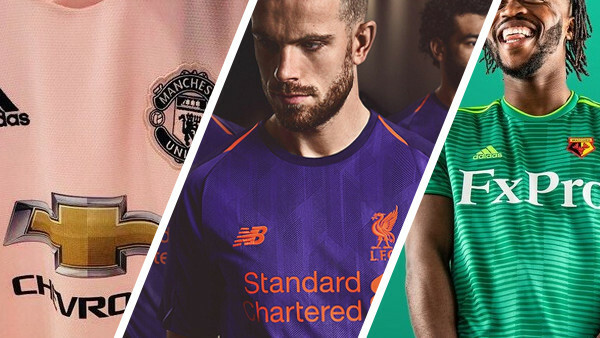 What we don't want is for a quarter of teams to select the same template from an online catalogue, all in the same colour, creating an homogenised horror-show as if it's the league's mandated uniform. Sadly, we don't always get what we want. But it's not all bad - a parade of prosaic polyester is saved by at least three kits so devilishly dashing they're enough to make you hot under the collar (if such a thing was still in fashion, anyway). Hint: none are grey.